Swelling in the ankles, feet or legs often goes away on its own. See a GP if it does not get better in a few days. Swelling in the ankles, feet and legs is often caused by a build-up of fluid in these areas, called oedema. Swelling should go away on its own, but there are some things you can try to help. You could have a blood clot in your lungs, which needs immediate treatment in hospital. 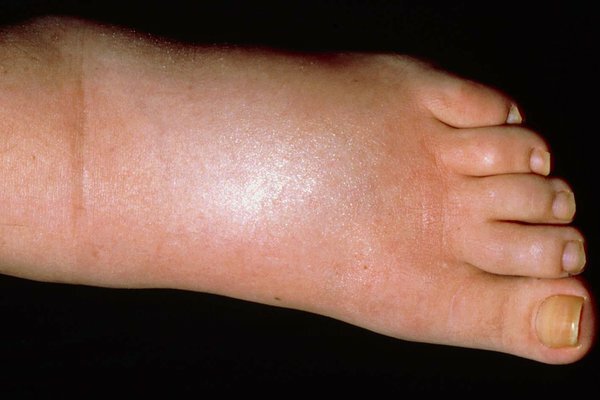 Treatment for swelling or oedema that does not go away on its own will depend on the cause. It may include lifestyle changes, such as losing weight or going on a low-salt diet.